Now aside from beeswax candles, I have to admit I have not ventured farther! But I am excited to explore this new territory and share it with you as I do!! I have had the beeswax tapers and besides the warm-honey fragrance, which is amazing; I just love the look of the all natural candle!! So hope this sets you looking for more natural, less toxic varieties of candles to fill your home with. They are more expensive, but if they are adding to your health, not hindering it, you will save money and migraines in the process!! Get yours today! I used the tick spray while I was in a National Forest last weekend, and I had NO Issues what so ever with pests! YAY! I never have to buy “bug spray” the rest of my life AND I will not be harming the environment!! We have this at Binda’s Lane Alpacas on Elk Street in Franklin and we will have it soon at Paul Hess Energi @ the Bank in Meadville. I carry it at the Farmer’s market in Oil City on Mondays and Thursdays from 9-4. You can also purchase it from our online store or via email if you are not in the area. Get stocked and stay bug free this summer! !We want to hear from you today!! Yesterday I talked about my newest favorite skincare product: African Black Soap. As promised, today I want to share a few of my favorite natural makeup products. As a rule, I try to keep most of my makeup all natural and organic. I can tell the difference in my skin when I do and I love the feeling of knowing that I am nourishing my skin while helping to enhance, not destroy, my natural looks. I still use some Walmart makeup for special occasions, but overall I love the simplicity and natural beauty of all-natural cosmetics. It’s true that natural makeup is more expensive than typical drugstore fare. However, the price difference is not that drastic, depending on the brands you find. I like to think of it as an investment, one that will pay me back in confidence and healthier skin! This product is amazing to cover up dark circles and to – wait for it – treat blemishes while hiding them! It contains thyme essential oil, which as we’ve shown on this site, is great for fighting bacteria. The consistency is a little runny, so a little goes a long way. It blends very well and matches various skin tones, even if it looks a little dark in person. This is the priciest investment of them all, but it will last a super long time. You only need a little of this bright pink blush to add a rosy glow! 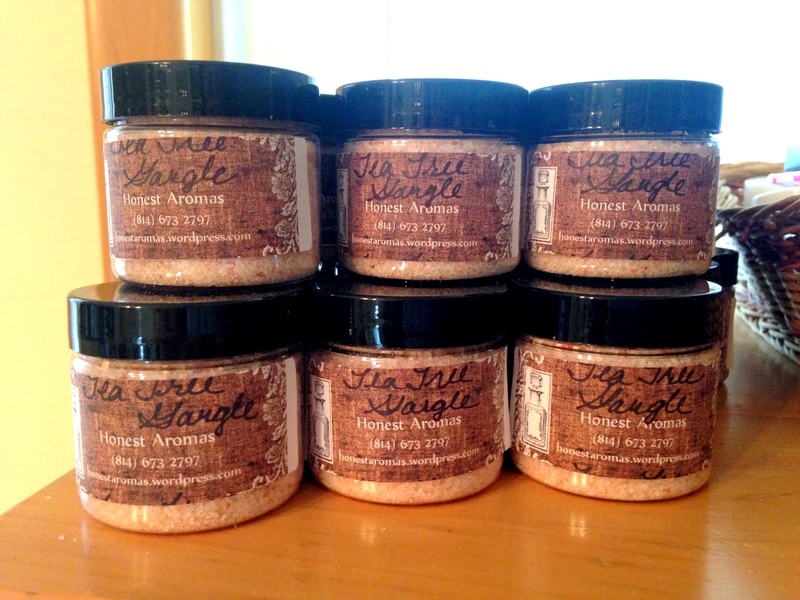 Juice Beauty has an amazing line of all-natural cosmetics. This blush has ingredients like aloe vera, acai berry, and sweet orange oil, which we’ve featured on the blog before. This is hands down the best mascara! It defines without being too clumpy, and it never irritates with harsh fumes. My eyes used to itch and water every time I used regular mascara, and the waterproof stuff I got for my wedding would never fully wash out. This product is not waterproof, but it’s reasonably resilient, defining well until you wash it out at the end of the day. It has a pleasant, earthy scent and lasts a long time. Its ingredients include olive, avocado, and rosemary oils. So I hope this has been helpful! These are some of my personal favorite products as I try to treat my body as best I can while still having fun with makeup 🙂 Have you tried any of these products? Do you have recommendations? Let us know in the comments! 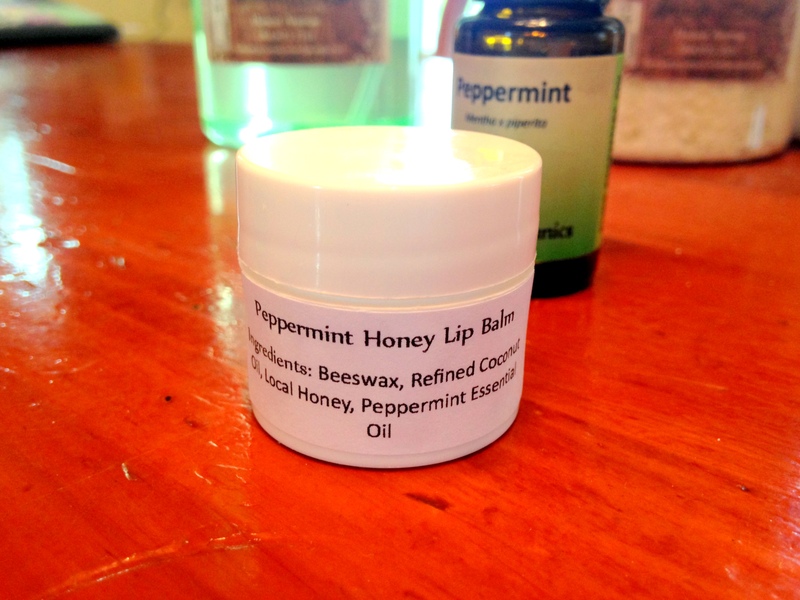 We perfected our lip balm recipe, and if we do say so ourselves, it’s amazing! Buttery without being too greasy, pleasantly sweet and minty without being too sticky or strong. 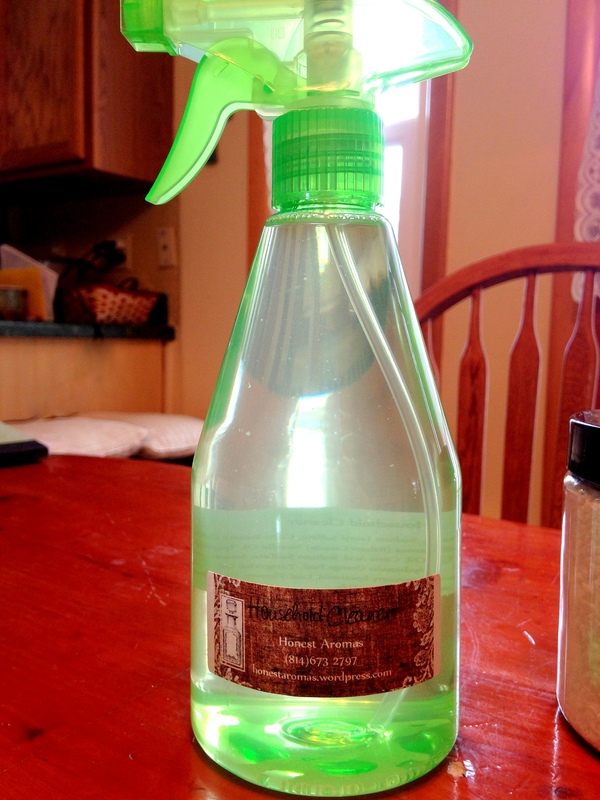 This stuff, made with a blend of all-natural cleaning soaps and essential oils, cleans well and smells amazing! 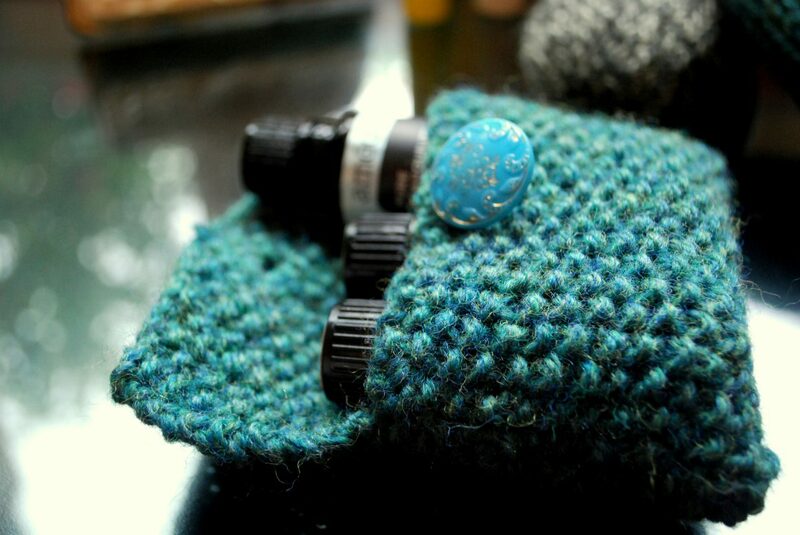 It will leave your home with a fresh and clean scent that, unlike store-bought cleaners, won’t overpower your nose! 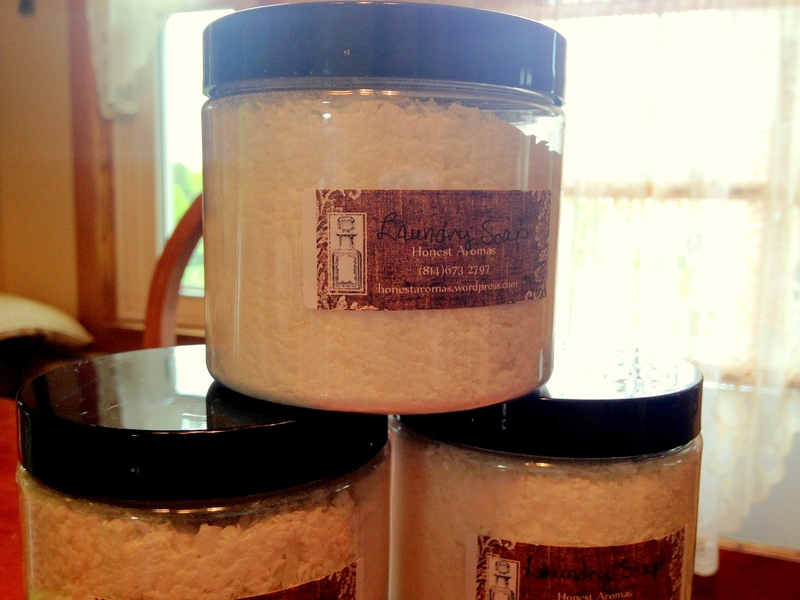 This powdered laundry detergent is what we use for our clothes. It’s efficient, natural, gentle, and without harsh dyes or perfumes. We lightly scent it with bergamot essential oil for a woody, citrus-ey smell. This stuff is awesome for colds and allergies! Hannah used it a few weeks ago for a seasonal allergy cough she had, and it helped clear her throat and open her airways! This gargle is a little strong but it does the trick for any respiratory/mucous related symptoms. Not pictured are our all-natural dishwasher detergent, soap socks, specialty oil blends, calming bath salts, and clay essential oil pendants. As you can tell, we have quite the variety of products for home and bath and health! If you live in the Clarion/Venango area (or are willing to take the trip), do come down to the Cook Forest Herb Festival this Saturday and Sunday (starting at 10 am both days) and find our booth! We are so excited to show you what we’ve been working on!